Cosmic Society - Humanity enters the cosmic society! In this free lecture, background information on the upcoming contact with extraterrestrial civilizations is given as well as the importance of telepathic communication . 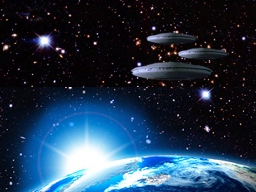 - Why are these peaceful extraterrestrial civilizations making contact with humanity? - Why are they contacting the general public right now? - What does that mean for humanity? - What can we expect in the coming weeks and months? - How can I prepare for it? - How can I get in touch with them? - What role does consciousness and telepathy play? - What is the significance of so-called Telepathy Centers , which are currently being implemented worldwide?